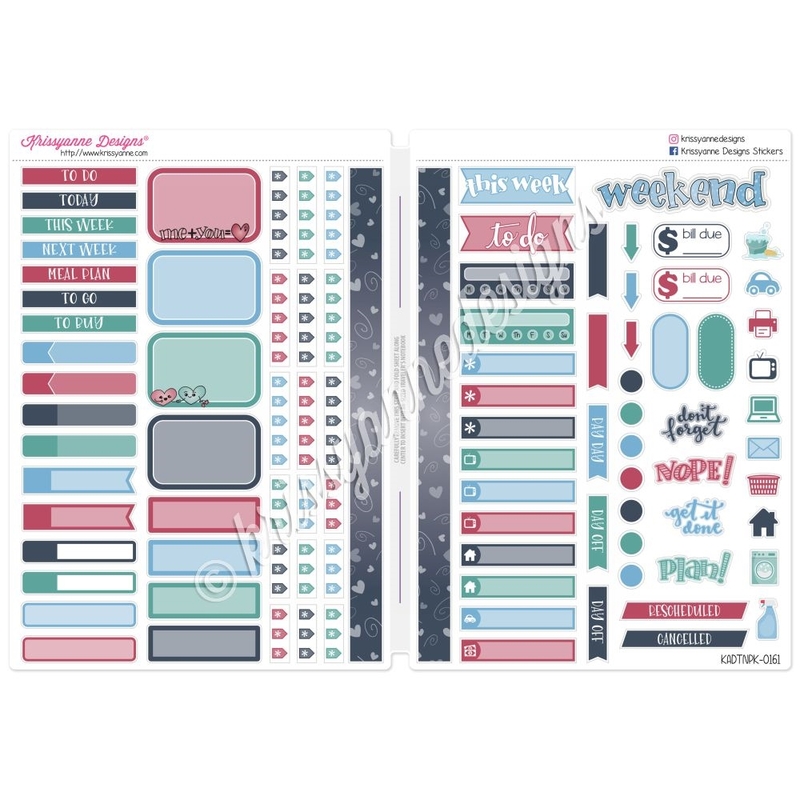 Do you love to color coordinate your weeks with stickers and plan with a more cohesive look? Do you have a traveler's notebook and love to use stickers to keep track of your plans? This functional TN Sampler Set has a variety of stickers to help make sure you have the stickers you need while on the go. With this set, you will receive one sheet of stickers as pictured that is intended to be folded in half and used in your B6-sized traveler's notebook. You will receive a variety of functional stickers that coordinate with our Sweeter Life collection. Please see photo for all stickers included. Please remember that colors may vary from monitor to monitor. Stickers in this set were designed to coordinate with our 2019 Celebrations Collection.